The Oxen of the Sun: Neil Gaiman drawing in a leather bound edition of "Seasons of Mists"
Neil Gaiman drawing in a leather bound edition of "Seasons of Mists"
Today, we're going to take a big step away from rare novels and take a quick look at a leather-bound first edition of Book IV of Neil Gaiman's epic Sandman comic. Supposedly, there are ten leather-bound first editions (one for each volume of the series) and I've only run into a few in my life. It seems they're quite rare; I was very surprised to find one behind the counter at a used bookstore on Smith Street in Brooklyn. Seasons of Mists a very striking book, bound in a maroon leather with gold detailing on the spine. There's also a menacing key stamped to the front in gold (it's the key to Hell, if you're curious as to what it unlocks). 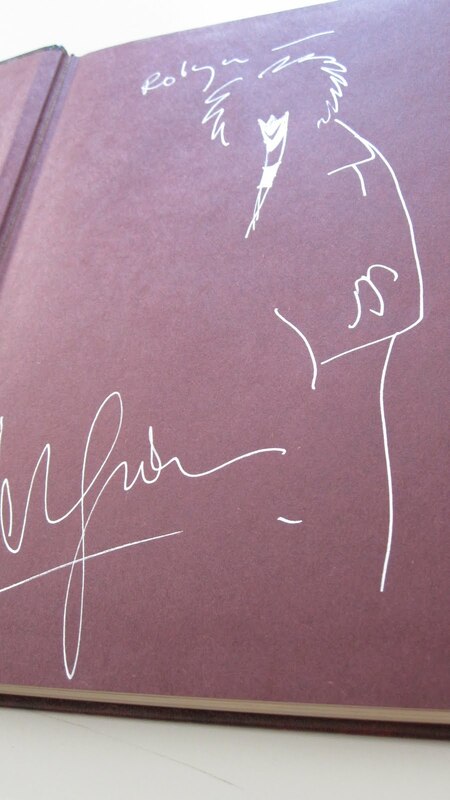 Now, most exciting for any Sandman fan is that the book is signed by Gaiman with a drawing of the comic's titular character, Dream. Gaiman himself did not illustrate any of the Sandman issues, so it's fascinating to see how the author renders his own creations. For how much would a non-signed copy of this hardback sell at an auction today? It's a tough call. I've only been able to find one other copy of the leather-bound Seasons of Mists, and that dealer is listing it for $100.00. So, take that amount into consideration, but also consider that there looks to be only one other copy of this currently on the market (as far as I can tell). Does that add a "rare" factor the book, thus raising the price to something around $150? If it were going on eBay, I'd start it at around $80-$100 and see if you get any interest. Let me know how it goes! I managed to obtain a copy of this book from a London Auction for around £120 GBP. Two weeks ago I had the good fortune of meeting Alan Moore (Watchmen, V for Vendetta, Swamp Thing) at a signing in London. He signed my original Miracleman comics and was very friendly and personable! 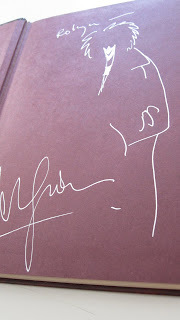 I'm waiting for Mr Neil Gaiman to come to london now! !